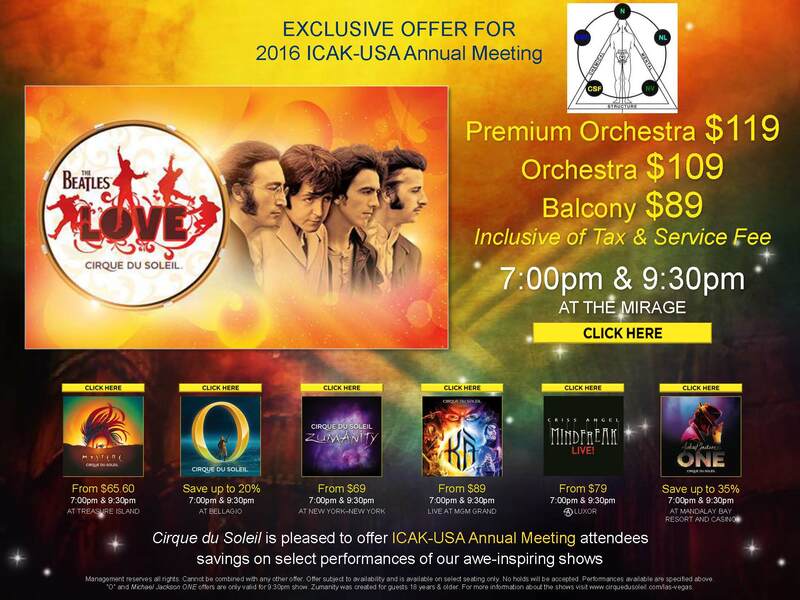 Discounted show tickets for ICAK-USA Annual Meeting Attendees! CLICK HERE for discounted show tickets for ICAK-USA Annual Meeting Attendees! 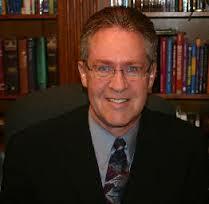 Dr. Barry Kaye Presents Brain Frequency: Neuroscience That Can Improve Performance and Wellbeing. Visit http://www.icakusa.com/content/icak-annual-meeting for more information and to register today! Register Now for the ICAKUSA 2016 Annual Meeting in Vegas! Please share this event. We want to make a huge impact this year and make it a fun and exciting time for all! Join ICAK-USA for another great Annual Meeting! We want to take the enthusiasm and energy we have for AK to Vegas! We are bringing the top practicioners of Applied Kineisiology to our 2016 agenda. There will be hands-on demonstrations as part of each session and the the latest developments in AK will be presented. There will be a Practice Management Workshop on Wednesday for all those who are interested. There is an extra fee and you may register for the session online. Stayed tuned for more information and important announcements! "Anatomical Short Legs and SOT"
Applied Kinesiology helps one of Europe's top Crossfit athletes in the Athlete Games. Dr. Jeffrey Kurtz was invited to participate with the Athlete Services Team at the Athlete Games in January, 2016 in London, England. Dr. Kurtz reports: "Europe’s greatest Crossfit athletes came together for an opportunity to compete on an international stage as a tune-up for the Crossfit Open where they can qualify for the Crossfit Games in California in July. As I was working, a very strong young lady came by with a concern about her shoulder.